I was in Tokushima City using it as a base for accessing a remote Tokushima Prefecture inland location. I didn’t have an opportunity to explore around, unless you count the walk between the train station and my hotel, but there was one place I absolutely had to stop on my way through. 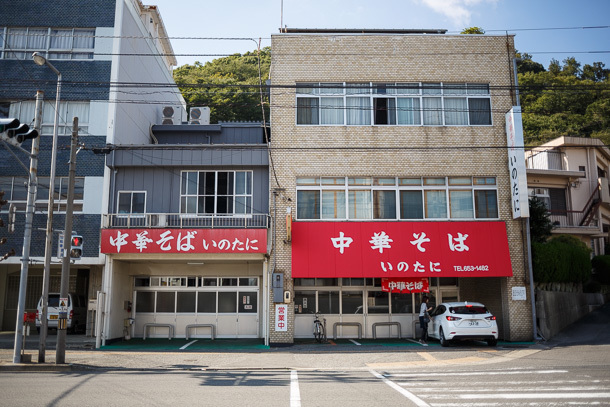 Tokushima style ramen has only been around since the late 1990s, but its broad appeal has enabled the local substyle to expand beyond its home. I had never tried it before, and thought I should not pass up the opportunity to have my first bowl at the source. There are many shops in Tokushima, but there is only one originator—Chūkasoba Inotani (中華そばいのたに本店). The shop opens at 10:30 in the morning, which is perfect for a late breakfast before I’m out. It’s a twenty minute walk from where I’m staying, so I’m good and hungry once I find it. 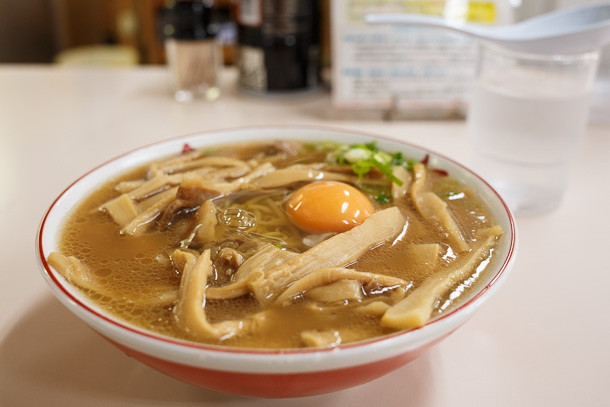 Tokushima style uses a rich, shoyu flavored soup. But its telltale signatures are the fried pork and raw egg toppings. A layer of oil traps heat in the bowl. Dipping the first few bites of noodles in the egg to cool and coat them is the way to go about it. 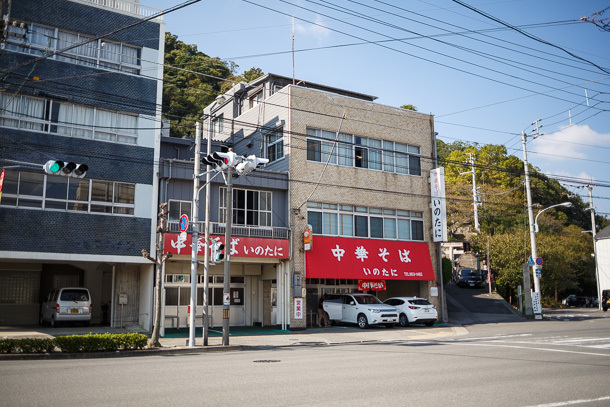 I had seen photos of Inotani with locals and travelers eating elbow to elbow, filling the large (for a ramen shop) dining area and lining the wall waiting for seats. In my morning visit, there are only a few other diners. The only sounds are the bubbling of the noodle boiler, occasional clank of metal pots, and the quiet conversations of kitchen staff as they queue up materials in preparation for the lunch rush. Bright light streams through the frosted glass windows as we receive our warm meals. Staff occasionally pause to look calmly out over the room as we eat in contented silence. The air is reverential.